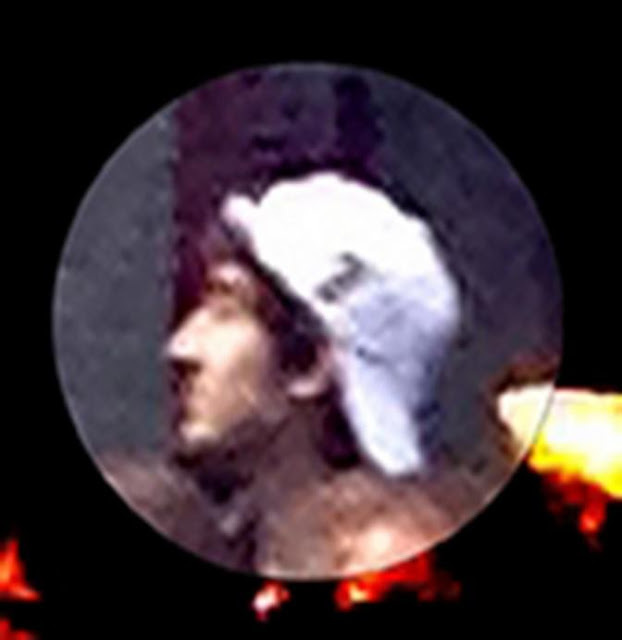 Twilight Language: What Logos Are On Boston Marathon Suspects' Caps? 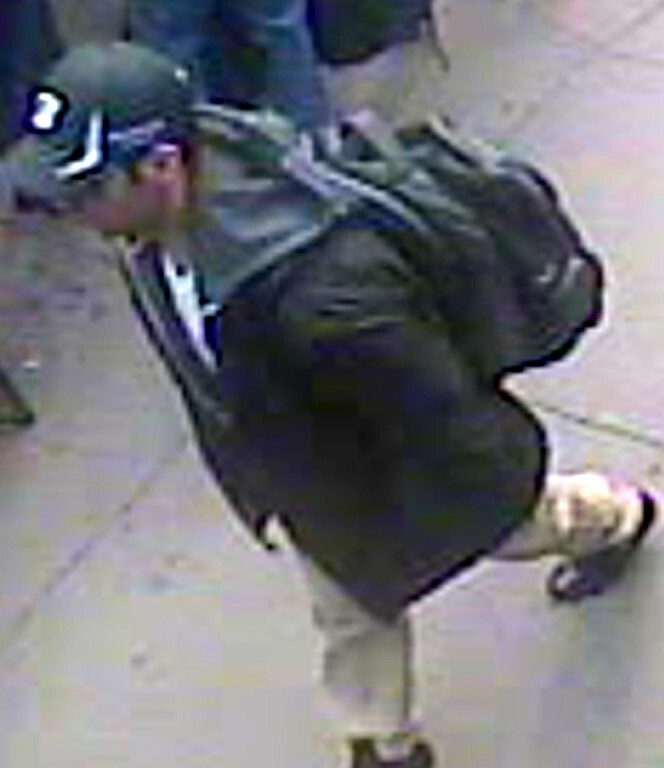 The FBI released images of the two primary suspects in the Boston Marathon bombings. 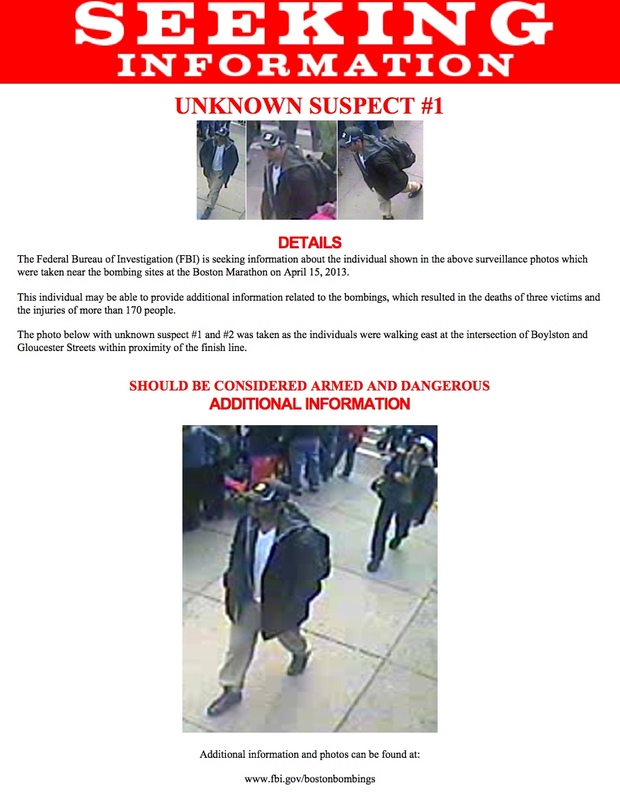 See also the FBI-released video. View on a mirror site (e.g. 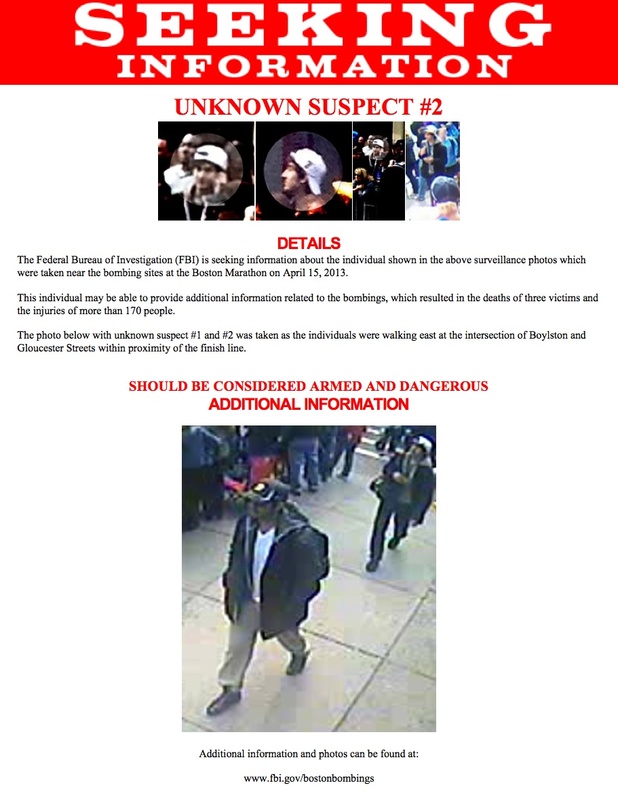 Globe and Mail), as FBI.gov is crashing. See here. 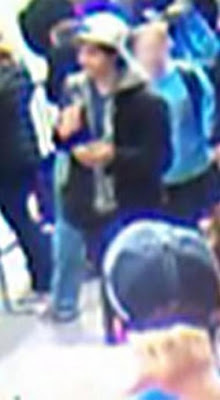 Do you recognize the logos on the front of the black cap, and the front of the backward turned white baseball-style cap? 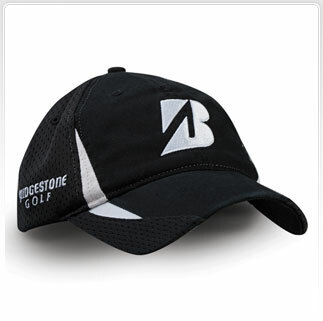 Tim W's suggestion: black one, Bridgestone golf cap. Appears to be a hit. A photograph taken by a Boston Marathon spectator shows the Suspect #1 as he walked past the Forum restaurant on Boylston Street (where the second explosion occurred). 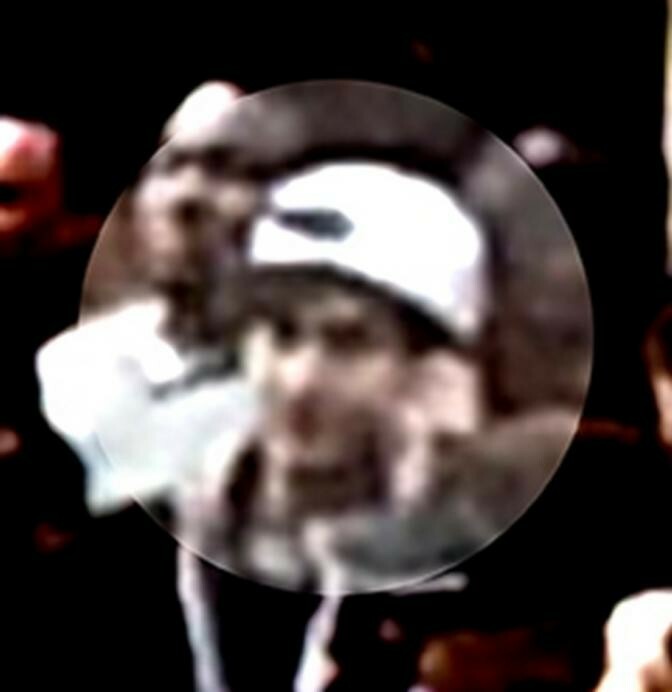 That image shows that the back of the man’s cap contained four white figures, likely "B330." 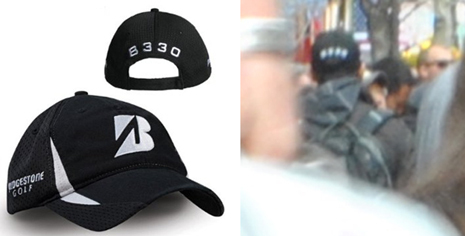 The black Bridgestone cap does those numbers, a reference to the company’s B330 golf ball. 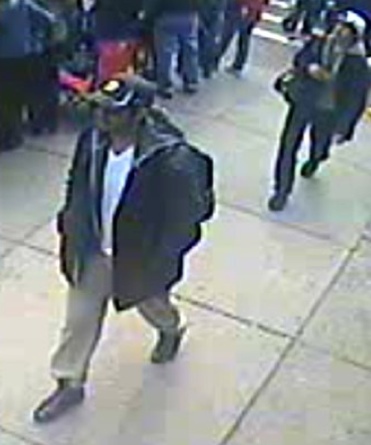 It is intriguing that Suspect #1 appears to have a cap on that contains two 3s and Suspect #2's hat has a 3 on it. (see down below). Screen shot of the front of the reversed white cap on Suspect #2. 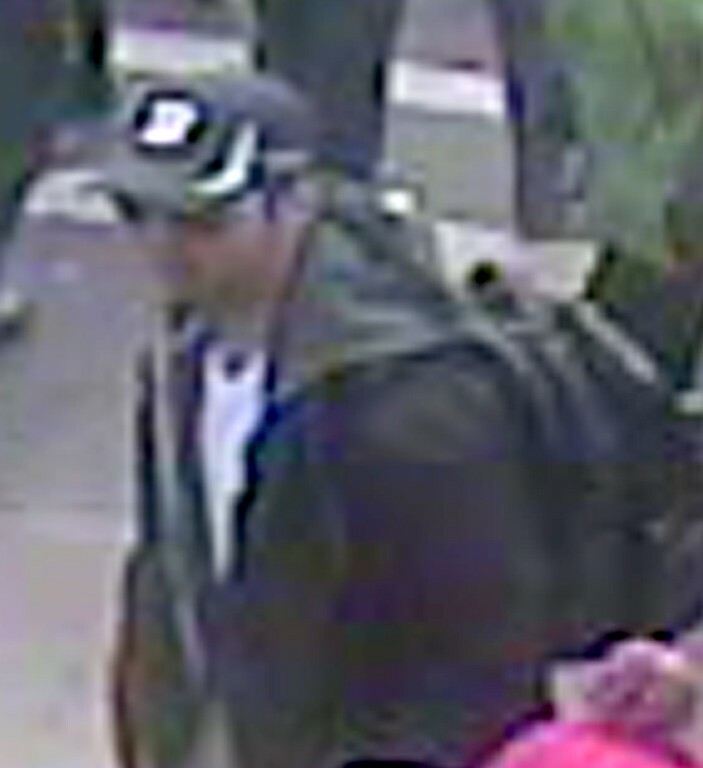 The cap being worn by Suspect #2 may be a Ralph Lauren Polo baseball cap. Why does Ralph Lauren put a #3 on their cap? 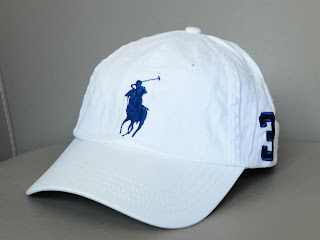 "The embroidered number on Ralph Lauren Big Pony pieces traces its heritage to the traditional uniform of professional polo players. The players are assigned a position, which is designated by the numbers from one to four and displayed on team jerseys during a match. The player in position number three is usually the most experienced player on the team." 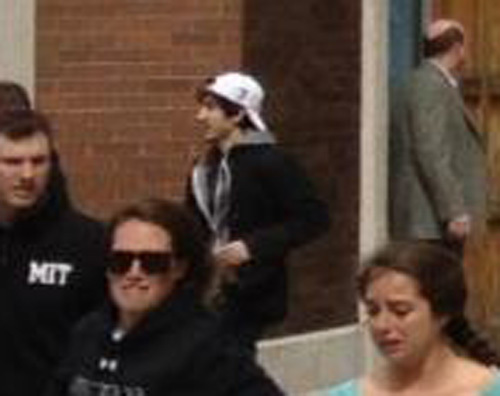 Newly discovered photo of Suspect #2 leaving the Boston Marathon area after a bomb goes off. 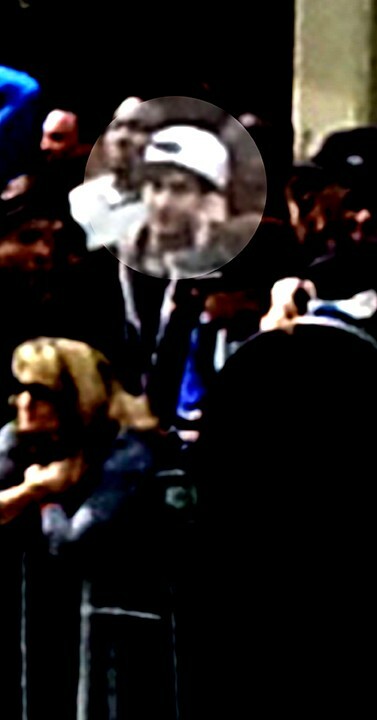 He is in the red rectangle. 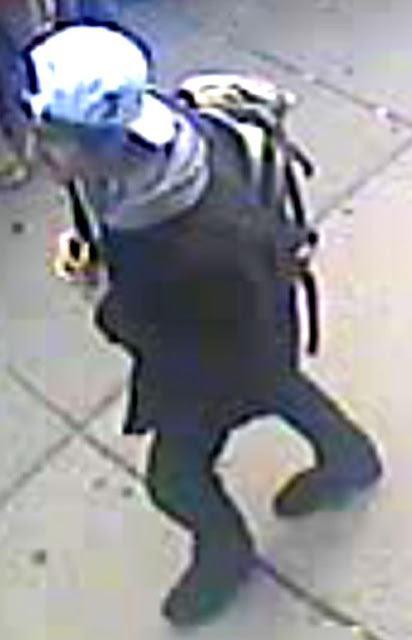 With no backpack. 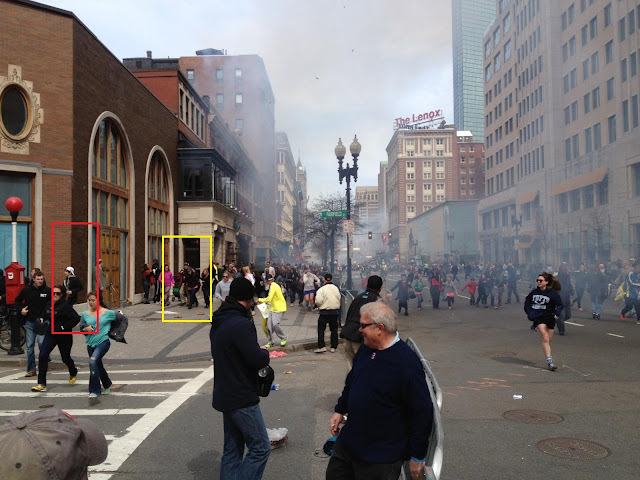 Some speculation was that the individual in the yellow rectangle was Suspect #1, but that appears to be incorrect. 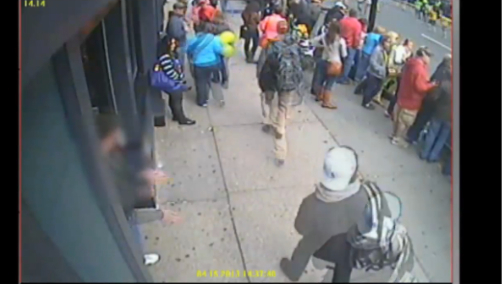 Rounding the corner of Fairfield Street, off Boylston. Re. Big Pony: It seems to be quite trendy among Mexican druglords. 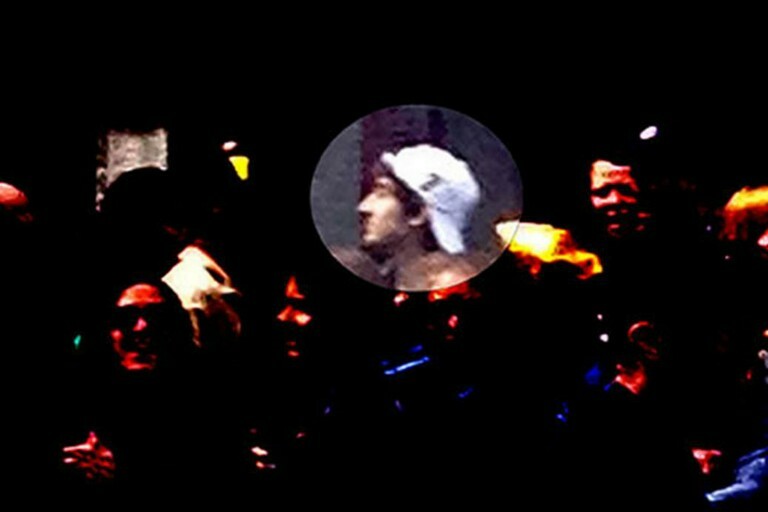 They are even jokingly called 'Narco Polo' by some. Oh wait I feel stupid now, I guess they don't put the 3 backwards on the other side of the hat just to make it symmetrical... I got confused by the two different sides of the hat. 3 is possible then, for sure.